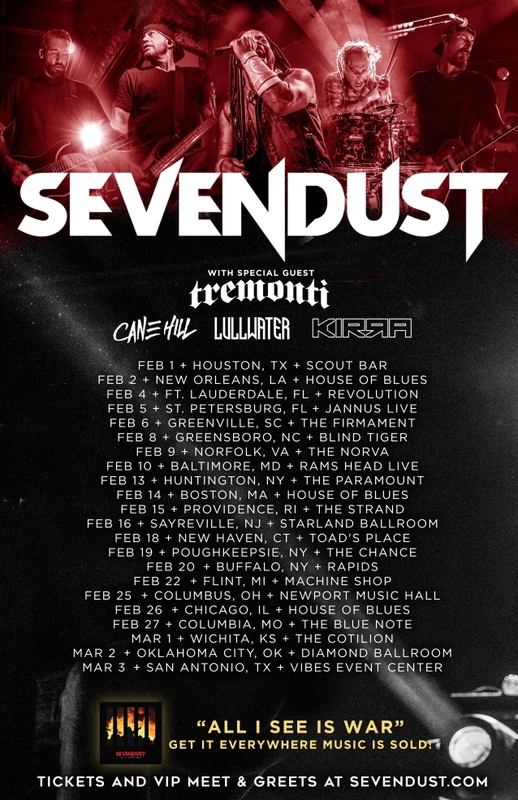 SEVENDUST will join forces with TREMONTI, CANE HILL, LULLWATER and KIRRA for a U.S. tour in February. A special BLABBERMOUTH.NET presale for all shows will begin on Tuesday, November 13 at 10:00 a.m. local time and end on Thursday, November 15 at 10:00 p.m. local time. When prompted, type in the presale code "7Dhasarrived" to access tickets before the general public. 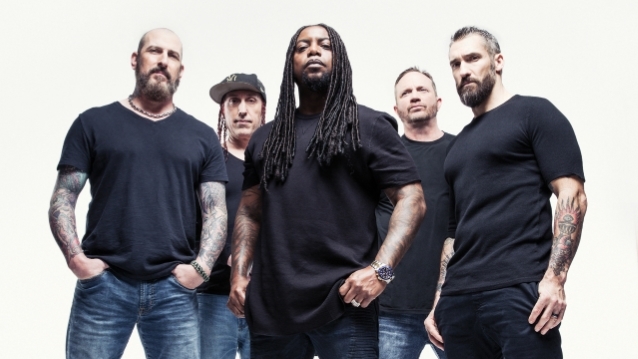 SEVENDUST is continuing to tour in support of its 12th studio album, "All I See Is War", which came out in May. The follow-up to 2015's "Kill The Flaw" was recorded at Studio Barbarosa in Gotha, Florida with producer Michael "Elvis" Baskette, who has previously worked with ALTER BRIDGE and SLASH, among others.